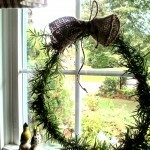 Home » Bringing the garden inside » DIY Project ~ Make a Fresh Rosemary Wreath! 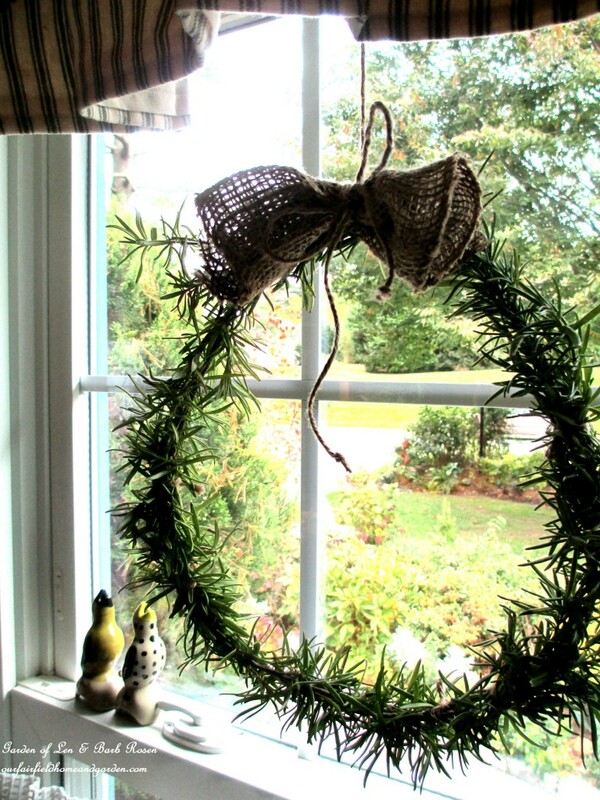 DIY Project ~ Make a Fresh Rosemary Wreath! Rosemary is a tender perennial here in Delaware, so I just hauled my two big, bushy Rosemary plants into the laundry room for the winter. They were a bit leggy, so I decided a haircut was in order as I settled them into their cold weather location. 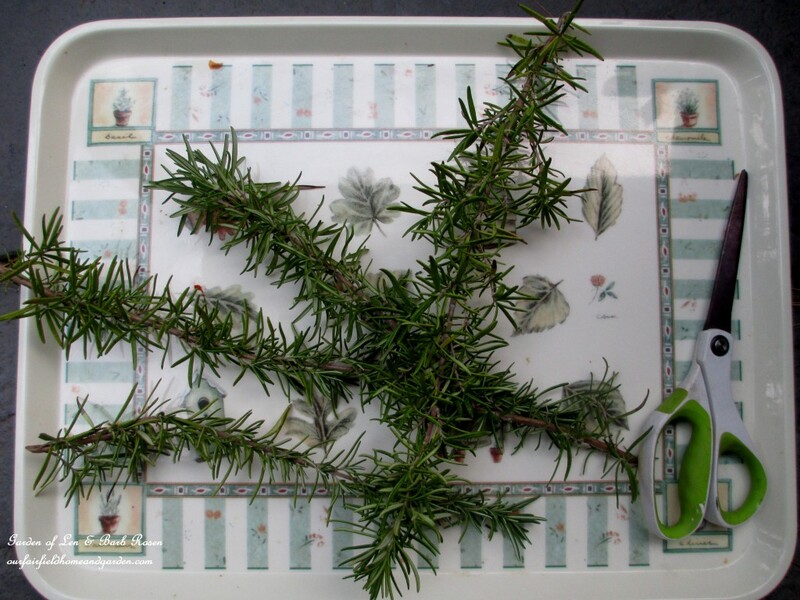 A few snips later, I had lovely scented Rosemary sprigs and couldn’t bear to throw them away. So, using a bit of brown jute twine, I formed the Rosemary into a circle, tying as I went and topped it with a little burlap fashioned into a bow. This was an incredibly quick little project that has my kitchen smelling wonderful! Trimmings from my Rosemary bushes. Wreath ready for a ribbon and hanging. Finished Rosemary Wreath hanging in our window! What a great idea. Will trim my rosemary and build a wreath for my mom and one for me. Thanks, Jeannie! I heard from another writer that P. Allen Smith recommends spritzing with water with a bit of glycerin added to it each day to prolong its life indoors. Have fun! 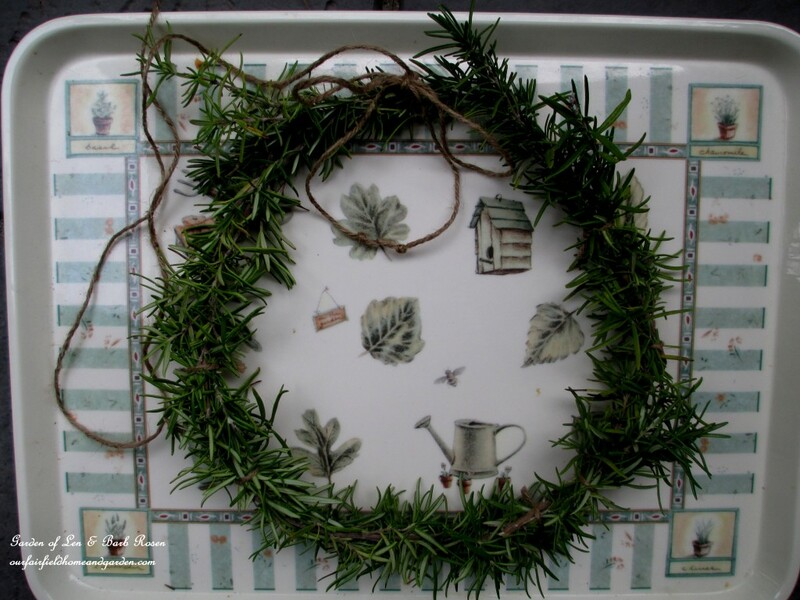 These simple, rosemary wreaths were a perfect starter project. Rosemary holds its fragrance for more than a week so it is also perfect to put it in the entryway. Thanks for writing, Emma! Putting a rosemary wreath in an entryway is a great idea!Happy Fall to you and yours!